Apple's iPhone 6 could feature Sony's Exmor IMX220 camera sensor, according to a post on Chinese Sony enthusiast forum Digi-Wo (Google Translate, via G for Games). The Exmor IMX220 features a 13-megapixel, 1/2.3'' sensor and can record videos in 1080p. The sensor would also be a sizable improvement over the camera currently in the iPhone 5s, which uses an 8-megapixel, 1/3.2'' sensor. Past rumors have suggested that the iPhone 6 will retain the same 8-megapixel sensor found in the iPhone 5s, with Apple instead choosing to offer improved image stabilization for more clear photos. A report last month also noted that an optical image stabilization system will be exclusively featured in the larger 5.5-inch iPhone 6, while the smaller 4.7-inch version utilizes an improved lens module. Notably however, the iPhone 4S, iPhone 5, and iPhone 5s have used incremental versions of Sony's IMX145 sensor, as Apple could choose implement a new sensor from the company for the iPhone 6. Sony is also expected to use a 20-megapixel version of the IMX220 in its Sony Xperia Z3 flagship device that is slated to ship later this year. While Digi-Wo does not have a track record with Apple-related rumors, the website has offered accurate information on past Sony products before their release, and recently offered leaked photos of the Xperia Z3. Apple's iPhone 6 is expected to be announced this fall at a special media event. The device is expected to come in two sizes of 4.7 and 5.5-inches, although it is not known if the larger sized iPhone 6 will ship alongside the smaller version. In addition to an improved camera, the iPhone 6 will feature a thinner profile, a faster A8 processor, and Apple's new iOS 8 mobile operating system. Nice, hopefully the sensor is big enough to work well in lower light situations. Pixels matter less then sensor size. 13 Megapixels are plenty. More important is low light performance and the auto focus system IMHO. Pixels matter less then sensor size. I hope everyone realises this and does not fall into the trap that 13MP is always better than 8MP. There's a lot more to it than that. I would rather have a 6MP sensor with better dynamic range. I bet Sony makes more money selling sensors to Apple than selling its own smartphones. So in other words, worse than the S5 camera. Less MP, no 4K recording....they may as well just stay with the tried and true 8MP they've been using for centuries then. 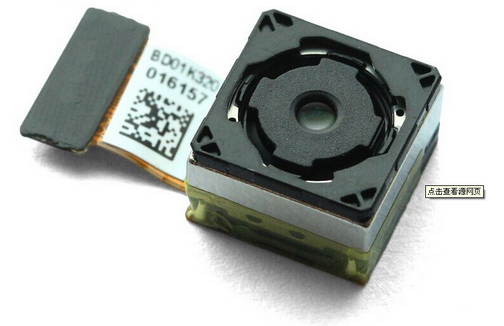 The sensor in the Samsung S5 is 1/2.6" which is smaller than the Exmor IMX220 (1/2.3") so you will get better quality pictures from the new iPhone camera if this is the actual sensor that they are using. See my attachment. Plan to do a lot of big shot projects in 4K that hardly any device including most peoples existing TV can take full advantage of? Another feature to yet again say they did it before Apple. According to this Wikipedia page (http://en.wikipedia.org/wiki/Image_sensor_format) that lists sensor area in mm, the iPhone 5S sensor is about 61% the size of this rumored 1/2.3" sensor. Furthermore, 8mp is about 62% of the size of the rumored 13mp. If this sensor was, say, something like 13.1mp in effective pixels (but just listed as 13 for clarity), then the scale would be pretty much exactly the same. Furthermore, you also have to take into account increases in sensor quality and noise reduction from one generation to the next, as well as the hires Apple has been making in relation to camera software to give the best result possible from the latest sensors. Many people don't realize how much processing an image goes through before you see it on your screen. Here is a comparison of sensor sizes. So in this chart, Apple would be moving up from the smallest square to the second smallest. This is why smartphone cameras will always play second fiddle to the big boys. Sure the quality is getting pretty good, but they can never get sensors this big in a phone. A professional camera like the 5D MkIII I use at work is the biggest rectangle, my 7D is the fourth biggest (light orange), and my casual shooter, the Sony RX100, is the sixth biggest (light green). Most of the popular point and shoots fall somewhere below that, but above the tiny smartphone sensors. Even still, the best camera is the one you have on youso I still end up shooting a lot of photos on my iPhone. So I would welcome the new sensor and increased resolutionespecially for cropping. I also know that Apple used 2x2 binning on the iPhone 5 in low light, but didn't on the 5S because of the bigger sensor. With the increase in resolution, I wonder if they would bring that feature back to give a super boost to very low-light images, especially given that an increase in resolution would help offset the biggest drawback to 2x2 binning, which is loss of resolution. In other words, it will not be chasing megapixel counts but will be the most optimised 13MP camera. People keep asking for more battery capacity. Nope, nobody wants a thicker phone, they want Apple to continue driving the hardware and software experience to deliver the incredible battery performance you only get in an iPhone. More RAM? Not needed. Again Apple's control of the hardware and software experience means they can maximise performance, efficiency and experience like no other company in the entire world. More megapixels? Haha. I think competing platforms prove the higher pixel count makes no difference they still can't go against the iPhone and win in terms of raw image quality. 1. Biggest possible sensor and distance the lens is away from it. 2. Bigger battery - more battery life.